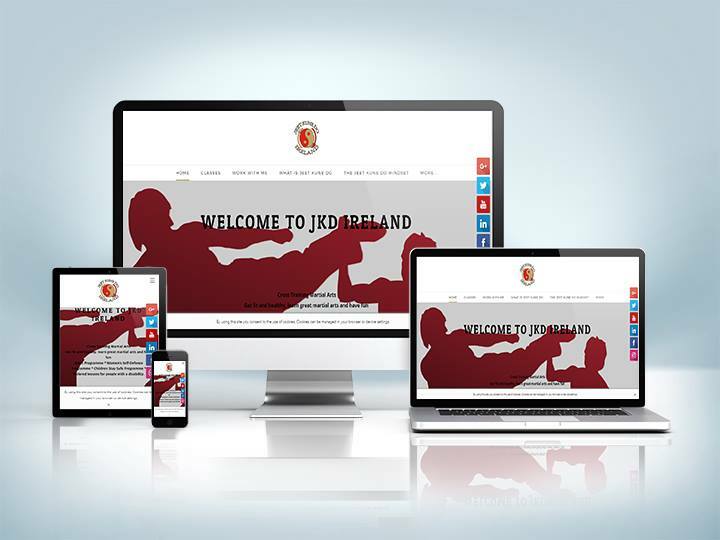 Website for JKD Ireland or Jeet Kune Do Ireland, the martial arts organisation of Ireland. JKD Ireland have training centres in both the North & South of Ireland, this website was built as the main hub linking all of the information, times, dates and locations throughout Ireland. Another central piece of this website was as a place to sell and display a martial arts book that was written by the client who is also the head trainer in the JKD Ireland martial arts training. In this project I also had to create the graphics for the website and also had to create a lot of motion graphics, animated logo and intros for the video training series that were added to the site later. We are highly skilled designers who carry the seal of approval from Adobe Software Inc. We are highly proficient with Photoshop, Flash, Illustrator, After Effects, Dreamweaver & Autodesk Maya.